It seems there’s no surer way to make it rain than to pull out the swather and start cutting hay. Today it only took 20 minutes. It was just a shower really but it was enough to shut things down for a while. It won’t be long though since the winds are up and it’ll be time to try again. Once spring seeding is over and done there’s usually never a moment to spare before the hay needs cutting and baling. This year has been different though. With such an early start due to the drier than normal spring weather, it hasn’t been the breakneck pace that it usually is. But the beginning of hay season is just hours away and that means that things are about to get busy around here. As the pace picks up, there’s always a temptation to skip meals but that never ends up being a good thing because hungry workers can quickly turn into tired and cranky workers who don’t realize that they need to take a moment to stop and eat. Things run a lot better when there’s fuel in the tank and I learned a long time ago, that having good food readily available on a busy farm is as important as oil is to a humming engine. Some days can be long, dirty and hot, especially if equipment breaks down and the guys are trying to beat impending rains or bad weather. Though they never stop for long, when they do, I like to make sure I’ve got something that will keep them thinking and alert so they can focus on the task at hand. 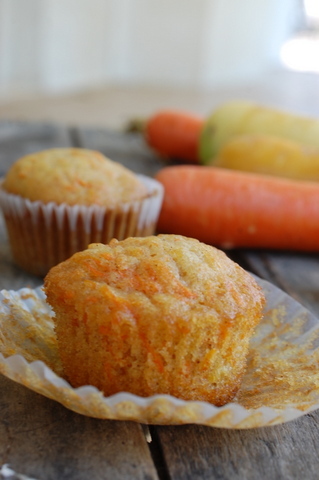 At times like these, homemade muffins are a regular staple at our house and I love incorporating the goodness of fruits and vegetables into them every chance I get. 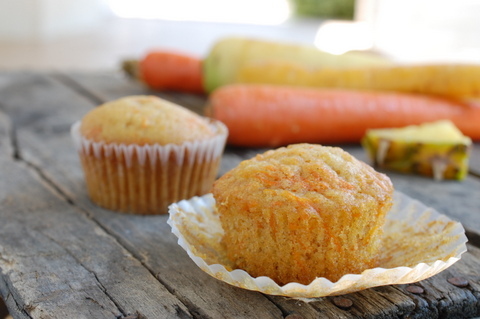 These pineapple carrot muffins are a favourite and I love them because it allows me to indulge in both the fruit (the crushed pineapple) and the veggie (the shredded carrots). A touch of cinnamon really compliments the sweetness and blends the satisfying flavours for a delicious snack. 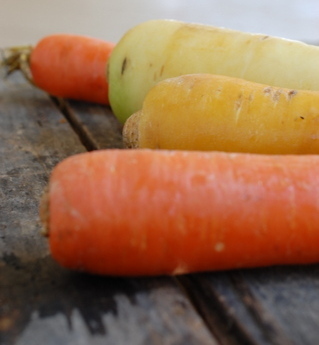 I have these on the counter in the morning and pack them in lunch bags destined for distant fields in the afternoon. The good thing is, you don’t have to drive a tractor or work in a field to love them, I love them too! 2.Combine wet ingredients in a separate bowl. 3. Add wet ingredients to the dry ingredients. Blend on low-speed until just moist. 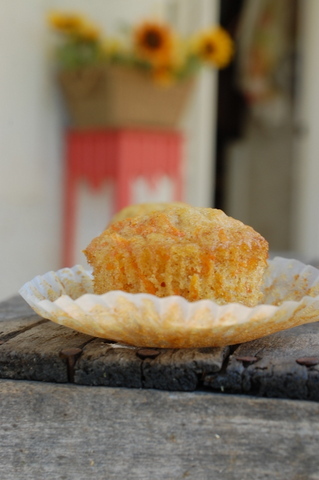 Half fill greased muffin tins or paper liners and bake at 350 degrees F for 20-25 minutes. Delicious, satisfying goodness the whole family will love!